Good morning Quick Quotes readers, Alicia posting today with some fall inspiration. Quick Quotes papers are so beautiful and their Powderpuff Chalking Inks are so versatile. 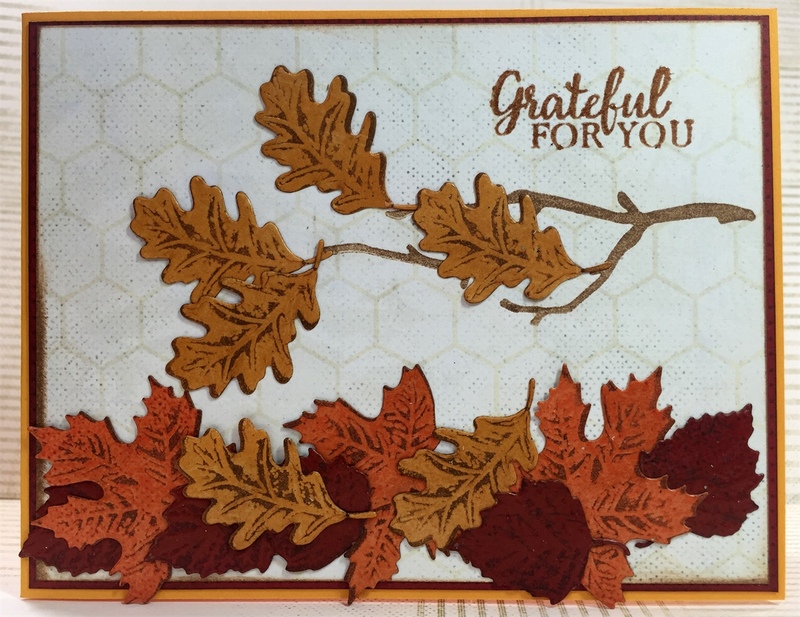 I wanted the leaves on my fall card to reflect the colors of the paper not an ink. 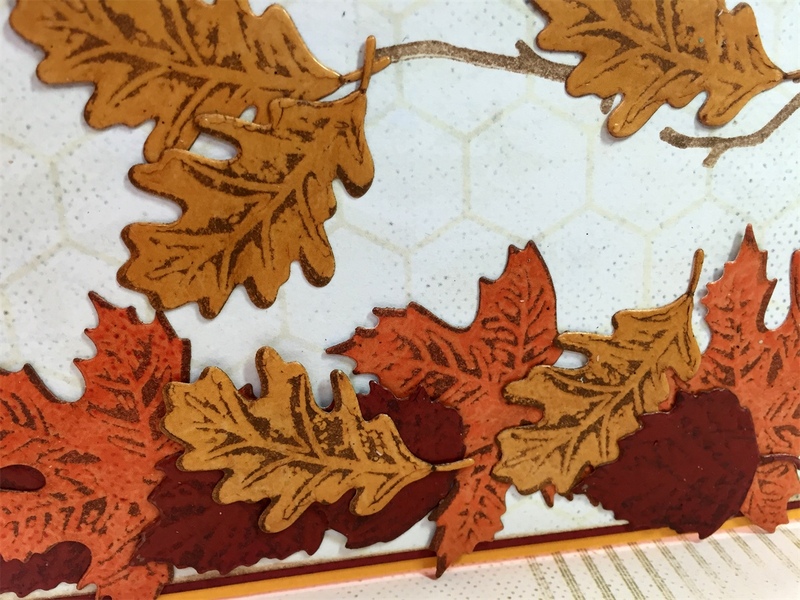 I decided to go with an emboss resist technique to highlight the beautiful fall colors of the papers. Here are examples of before and after of inking with Quick Quotes Powderpuff Chalking Ink. 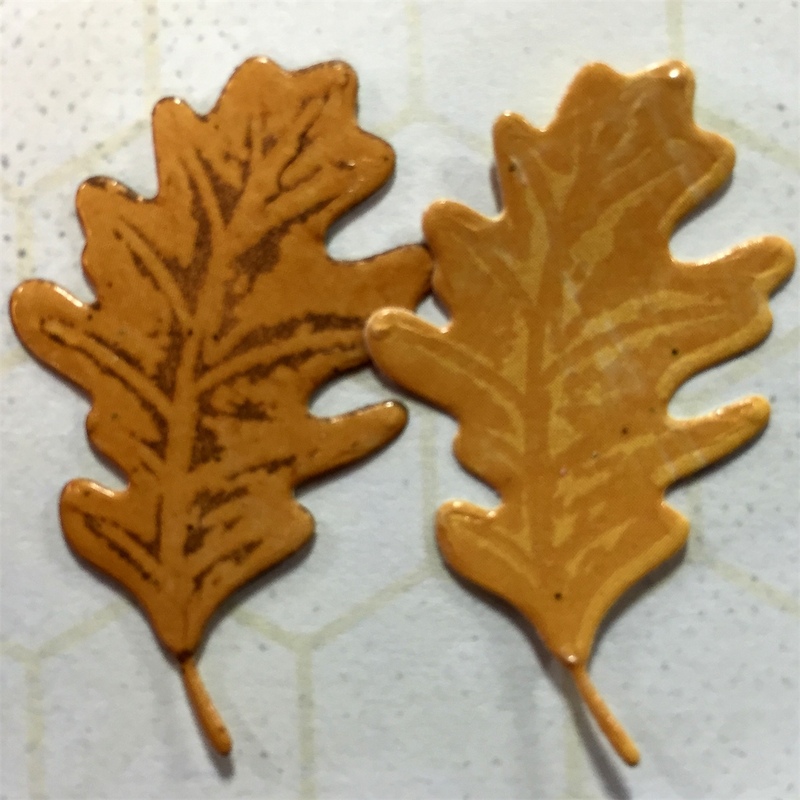 You can see all the details of the stamped leaf image just pop after inking!